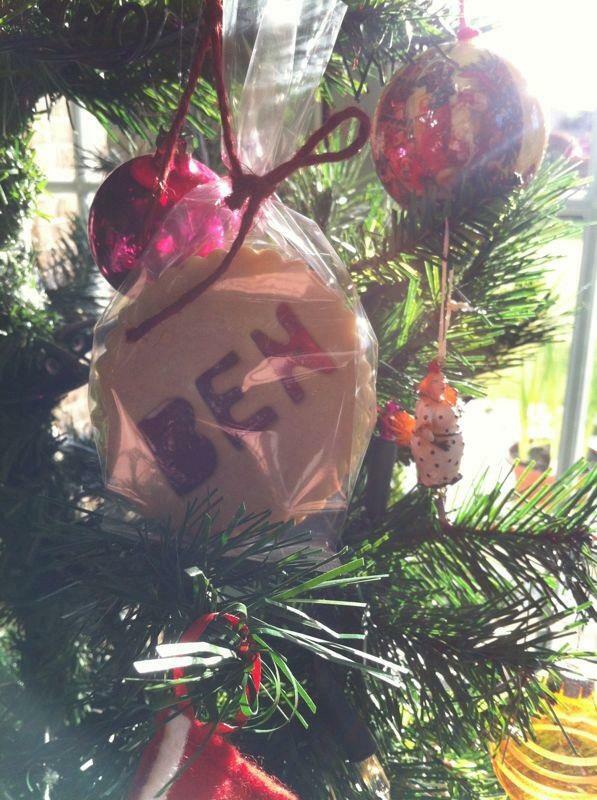 Happy Crimbo from Bee’s Bakery – next year, why not order some personalised biscuits for the tree? 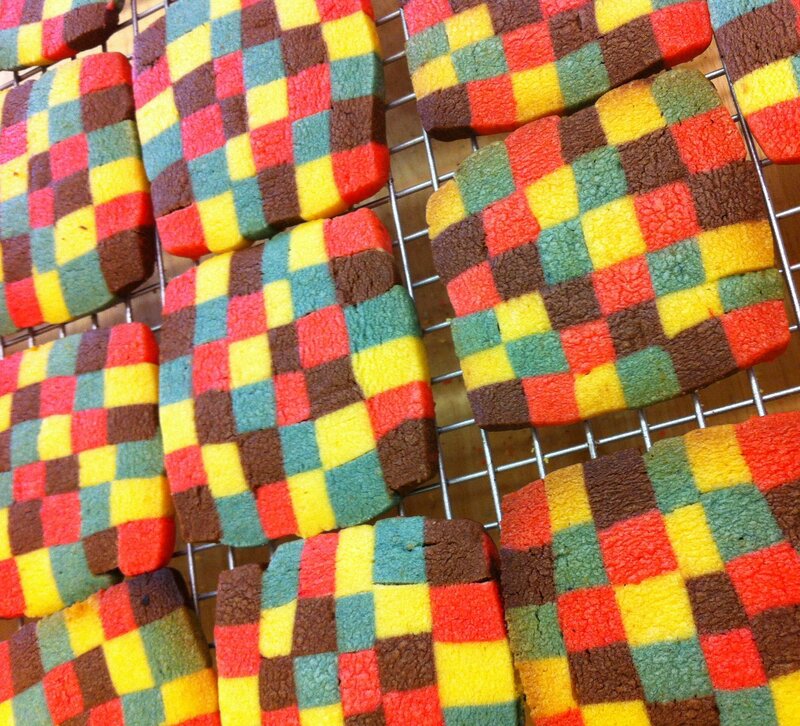 We think they look flipping lush! Hey! We have a little pop up shop at The Old Shoreditch Station at 1 Kingsland Road, from today (Monday 10th dec) until Thursday. 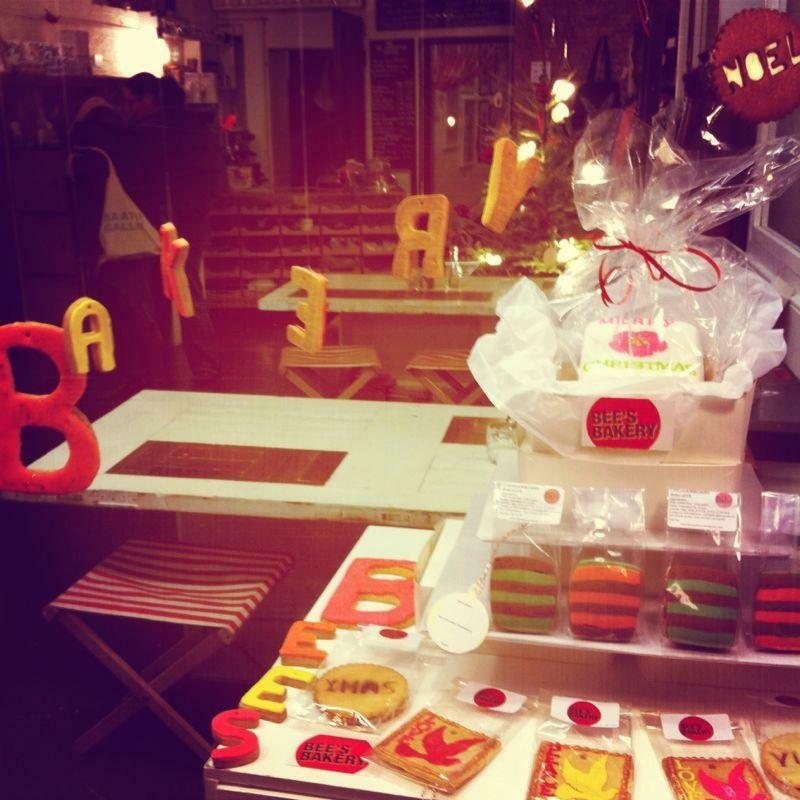 For sale are our classic Jammie biscuits, with words cut out of the dough, along with some Festive words and some Christmassy shapes! 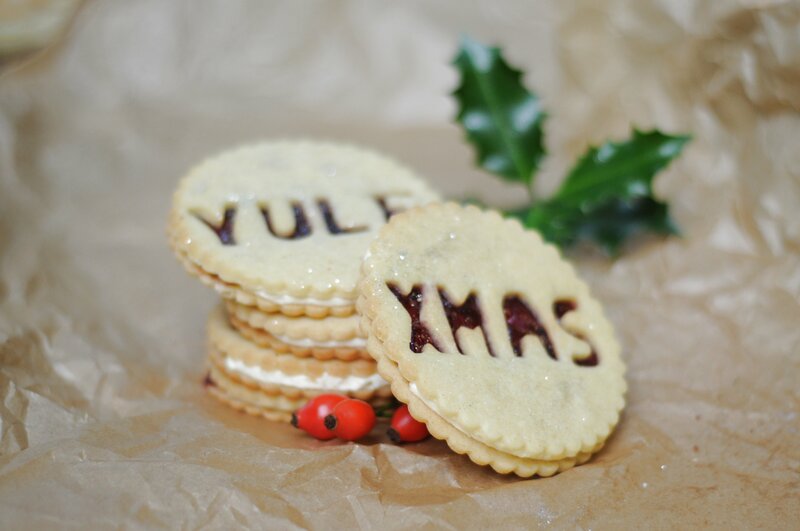 And we’ve been playing with a few wee Christmassy biscuit ideas…. 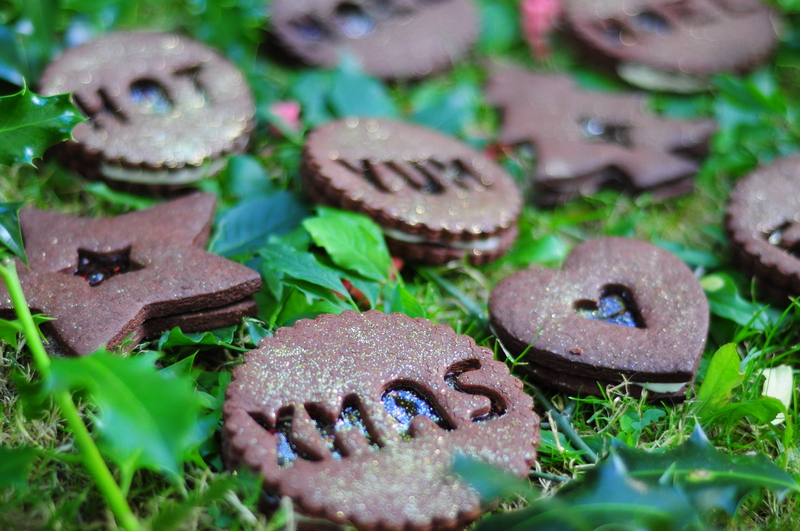 And these ones are our classic jammie biscuit recipe, with the added touch of edible glitter – LUSH.